Royal United Hospitals Bath opened a new neonatal intensive care unit in 2011 to provide care for up to 500 premature and seriously ill babies every year. 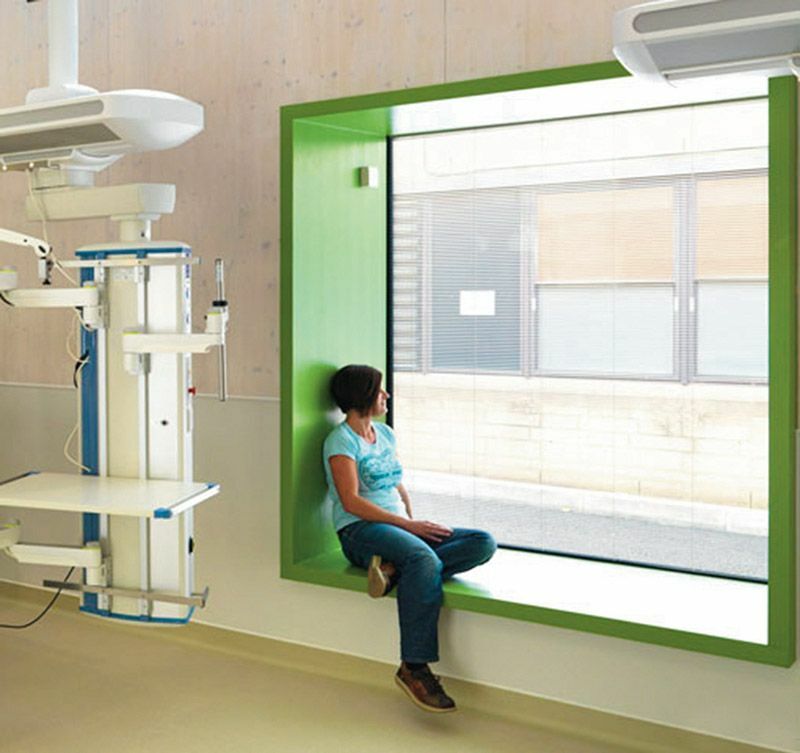 The new unit had to allow healthcare to be delivered effectively to babies, provide a calm environment for parents and staff, and reduce energy consumption when compared to the old unit. Architects and design engineers carried out extensive consultations with hospital staff and parent groups that emphasised the importance of creating an environmentally sustainable family centred care facility. Special attention was given to lighting levels as they are a crucial element in creating a therapeutic and calming environment for sick babies. A small self-contained wireless device was also developed for mounting on the baby’s nappy to measure breathing, restlessness and sleep patterns, allowing the impact of changes in the unit to be monitored. The design team created peaceful and practical internal spaces with the clinical rooms grouped around a central staff base to enhance visibility. A research study, supported by the Sir James Dyson Foundation, showed that, in the research groups, 90% of the babies went home from the new unit breastfeeding, compared with 64% in the old centre, and babies achieved 20% more sleep in the new unit. Parents also visited their children more often and spent more time in direct contact with them. In addition, during the day, the nurses typically spent nearly twice as much time in clinical rooms looking after the babies. The novel unit design also resulted in energy consumption dropping from £80 to £50 per 100 cubic metres.